Victorians are urged to take care with potting mix, after seven cases this year of a bacteria that can cause potentially deadly Legionnaires' disease. The onset of spring has sparked a warning to green thumbs about the risks of potting mix, with seven cases so far this year of a bacteria linked to the potentially deadly Legionnaires' disease. Victoria's acting chief health officer, Dr Brett Sutton says reported cases of Legionella longbeachae bacteria, commonly found in potting mix, peak in November. Legionella longbeachae is one cause of Legionnaires' disease, which can be fatal in a small number of people who have severe illness. It is found in tiny quantities in the general environment, including soil, and while normally a health hazard, the ingredients and dampness of potting mix make it an ideal breeding ground for the bacteria. Most people who breathe it in do not become ill, but risks of disease increase with age, smoking, and in people with weakened immune systems. 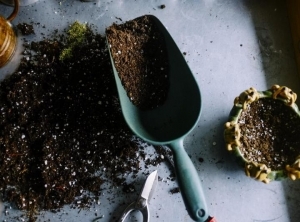 "To many gardeners, potting mix may seem harmless, but it can actually be very dangerous unless the correct procedures are followed," Dr Sutton said. Early symptoms include fever, chills, headache, shortness of breath, sometimes dry cough, muscle aches and pain. People who suspect they may be ill should visit their doctor. The health department warns potting mix should always be handled according to manufacturer instructions. Gardeners should always wear a mask and gloves and wash hands carefully with soap and water afterwards. Potting mix bags should be stored in a cool, dry place and bags should be opened in a well ventilated space, away from the face.